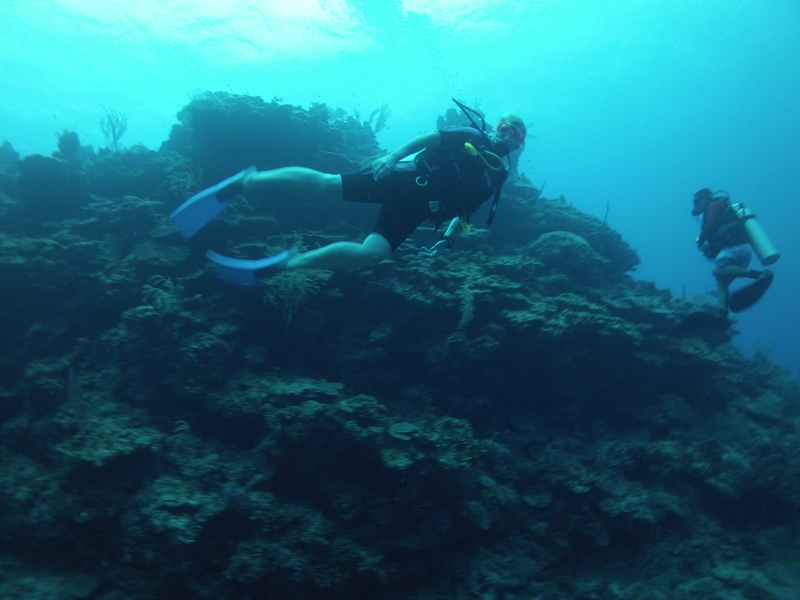 Getting an image of myself as we slowly ascend from another beautiful dive. 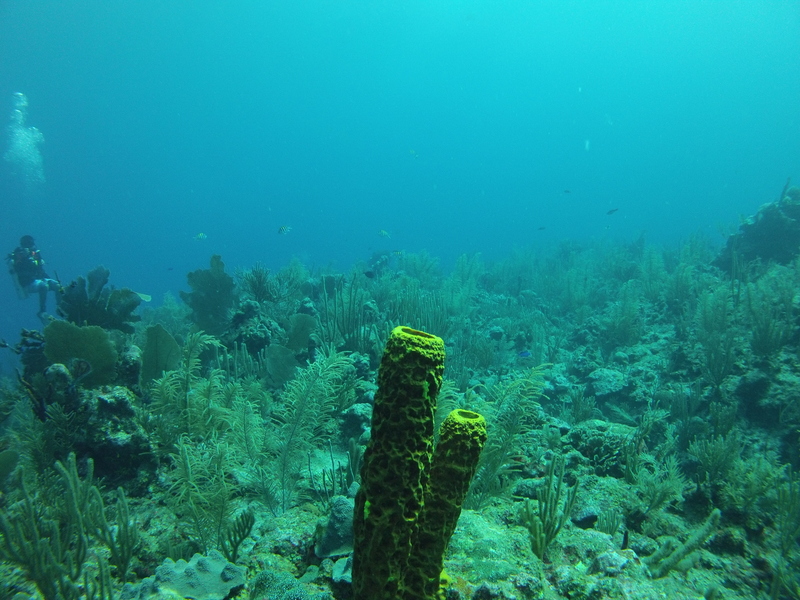 It took a week to get going, but Karen and I have done fairly well with our diving in our first 4 weeks here in Belize. 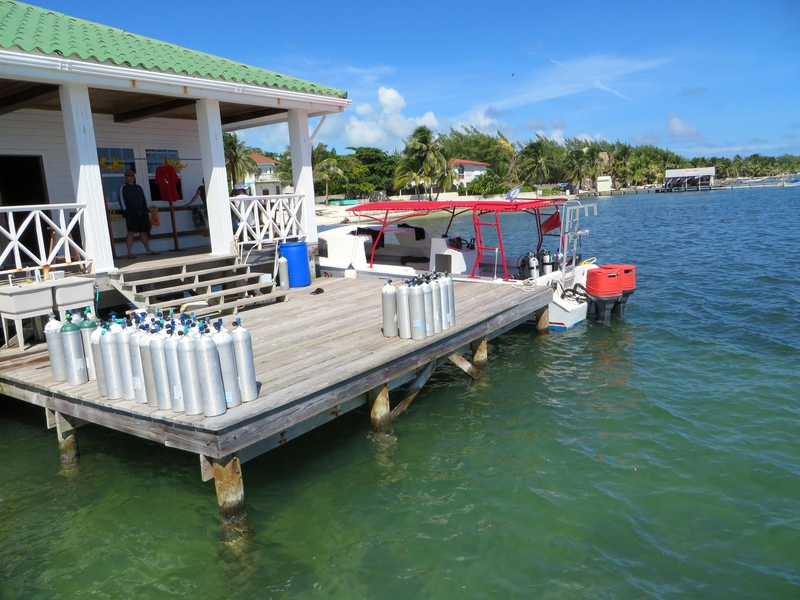 I registered for my Padi Rescue Diver Course with Belize Pro Dive Center. After some initial confusion over prerequisites the instructor Ian, and I got it all in place. A very enjoyable course and fun to do scenarios about things that rarely (hopefully) ever happen. Hope to write the final exam later this week, very excited. 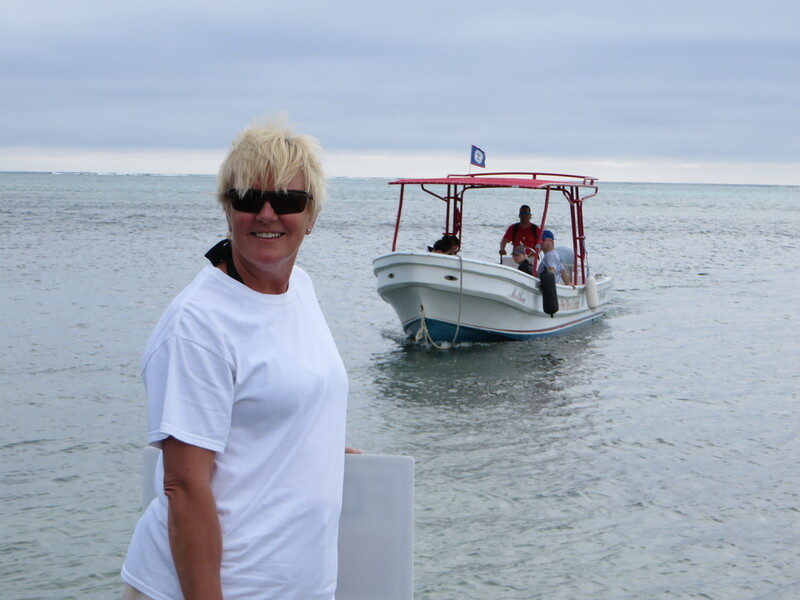 Karen and I have also done 4 dives with Belize Pro Dive Center over a couple of different days. 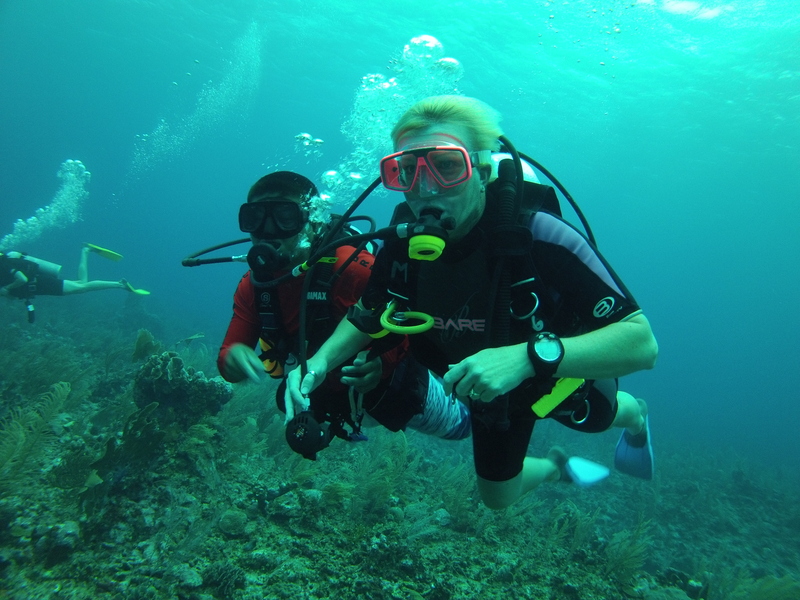 The equipment has been excellent as we chose not to travel with diving equipment and have to rent everything. We had Ian as our Dive master on the first day and Pedro on the second day, with Tony being our boat Captain both times. I must say that they run things very professionally and I found the pre dive briefing thorough and complete and leaving me comfortable with the upcoming dives. 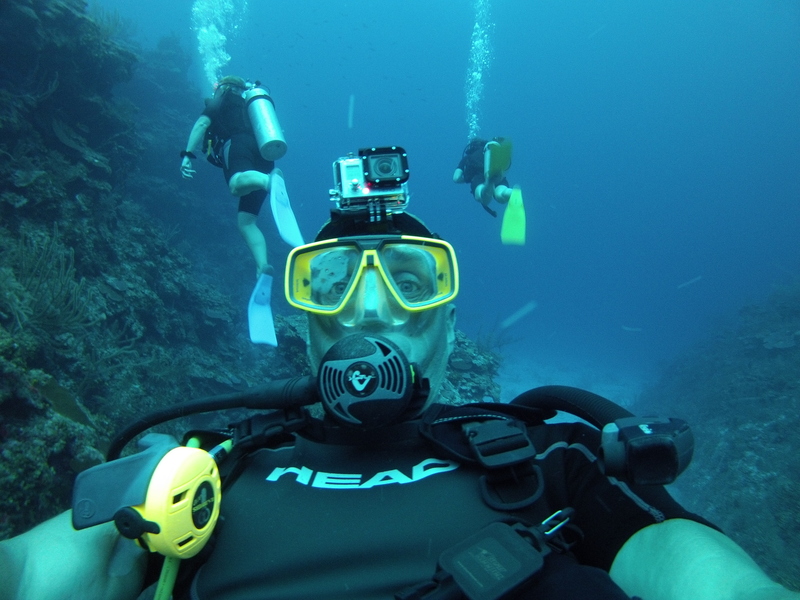 The locations we have been diving are literally 5 minutes from the dive shop. We do our surface intervals at the dive shop, which is rather convenient. This guy was kind of cranky. But with a face like that…. The deepest we have gone so far with these guys has been 97ft. 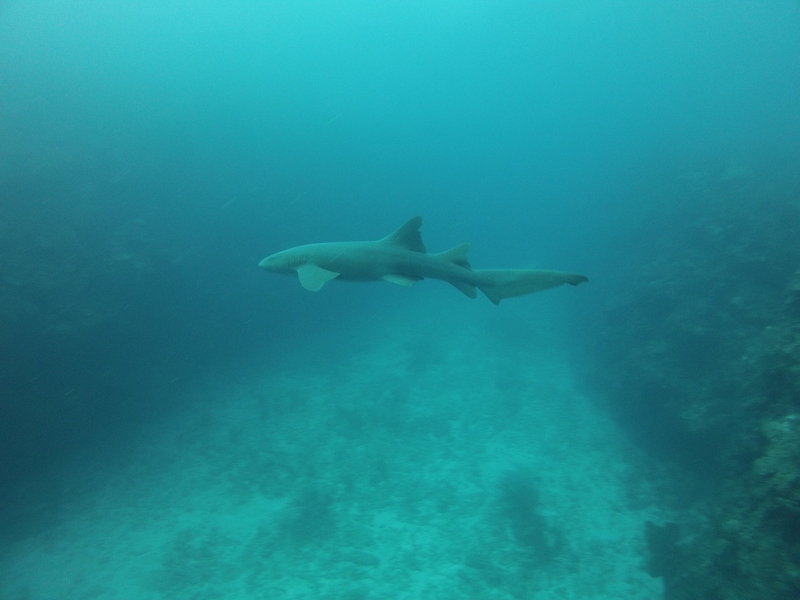 Most dives are 80ish for the first and 60ish feet for the second and last around 45 minutes. Very enjoyable. The boat from Belize Pro Dive Center picking us up at the pier where we were staying. 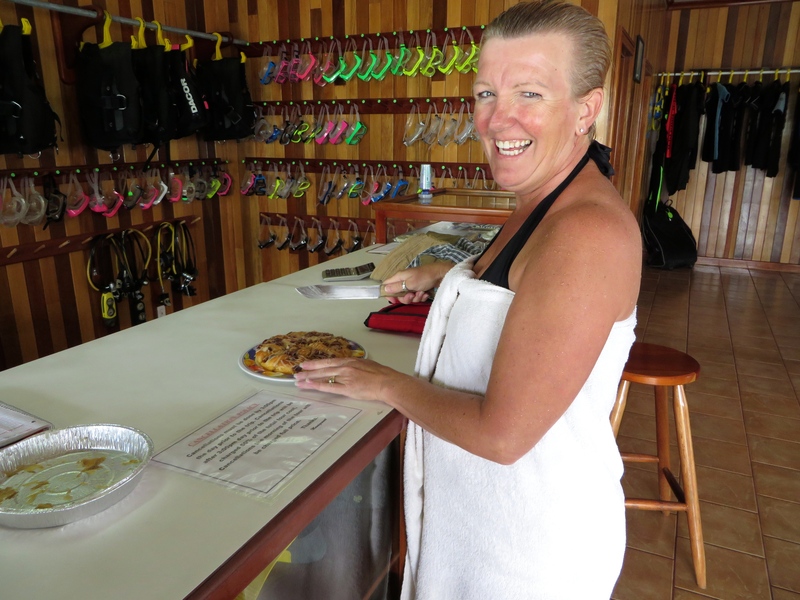 Our second day of diving with Belize Pro Dive Center was Karen’s birthday. Everyone of the staff took the time to wish her a Happy Birthday and they even had a special treat at the end of the day. The staff supplied a birthday cake and sang for her. Nice touch. The diving was pretty good as well that day. 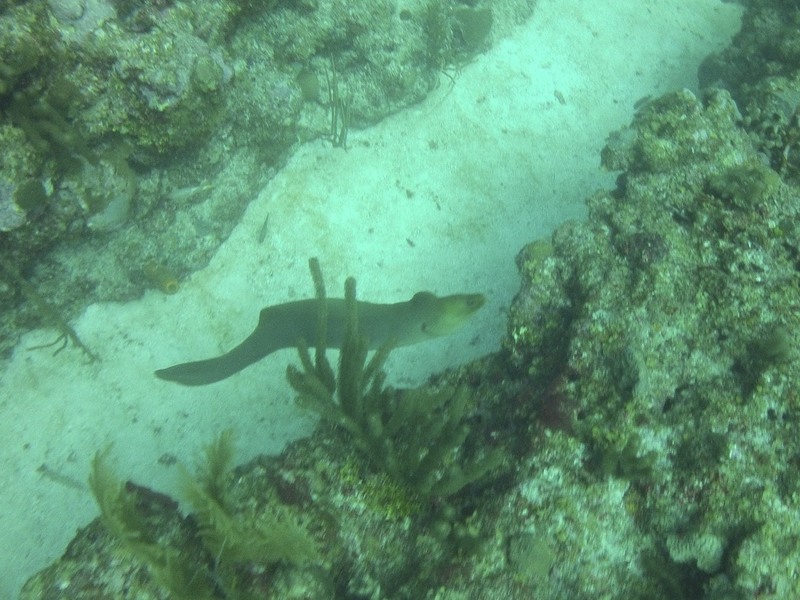 We also did a night dive with a friend of ours from Indiana. The night dive was spectacular. The activity and diversity of life was amazing. I have to say though that I was less than impressed with the Dive master. 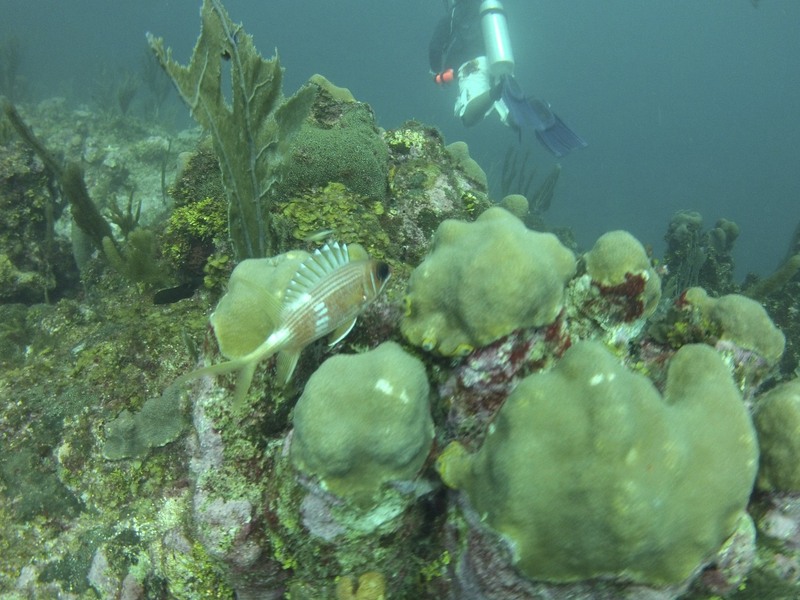 This dive was with a different company and because the Dive master made such a point of saying he was an independent freelance dive master I don’t really want to name the company because it may be unfair to them. The equipment was adequate, but had a number of flaws that should have been remedied before being rented out. As well, the Dive master was pushing the entire time to get things moving, though he said, “take your time” his actions screamed otherwise. It was an excellent learning experience for me. Because the depth of the dive was quite shallow, maximum 35ft, I was comfortable dealing with anything that might go wrong. But in the future it gives me an excellent yard stick by which to say, Whoa! We will definitely be doing another night dive, just with a different company. Checking out the wall in one of the small canyons. 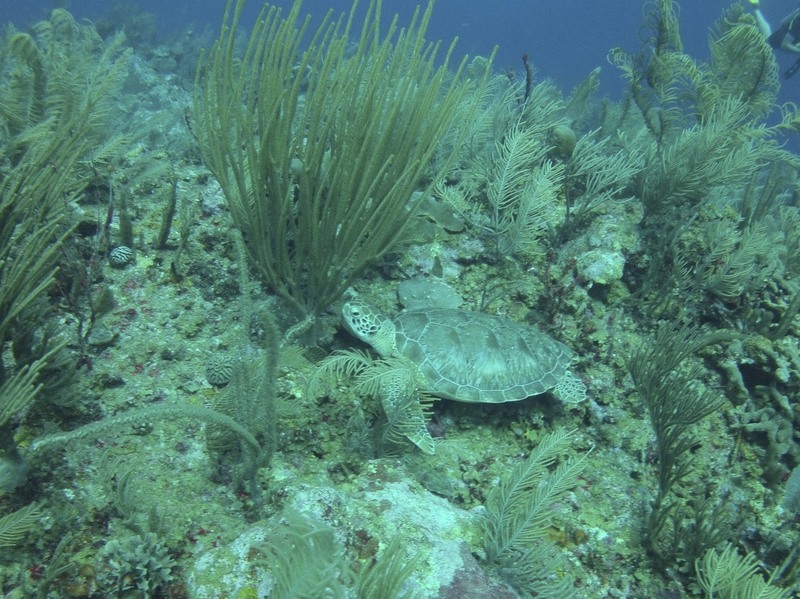 The diving here is awesome and we look forward to exploring more of the reef over the coming months. First picture I saw (underwater) where karen isn’t holding a drink? Hey Guys, I’m so totally jealous, nothing but friggin cold and snow here. We feel for you. Even on a day like today where it is overcast and raining most the day it is still warm and comfortable here. Going diving Saturday morning, very excited. You’re not making me less jealous. Go deep!! They are in Vietnam and have quality packages, reasonable selling prices, outstanding program as well as dive sites. All course instructors are European and a close friend of mine was already there and was truly satisfied!